Paige Peterson is the Executive Vice President of the Huntsman Cancer Foundation in Salt Lake City, Utah, and a board member of the National Council on U.S.-Arab Relations in Washington, D.C. When he was the Kingdom of Saudi Arabia’s Ambassador to the United States, Foreign Minister Adel Al-Jubeir gave me an extended visa. He had two good reasons for doing that. One was professional. I am the Executive Vice President of the Huntsman Cancer Foundation, where one of my missions has been to build alliances with Saudi Arabia’s excellent cancer researchers. The other was personal. As a writer and photographer, I was endlessly curious about Saudi Arabia’s people — and its landscape. It’s a cliché to say that a picture can be worth a thousand words. These pictures were worth more than that for me — they are the story of a rare and extraordinary adventure. It’s a privilege to share it here. 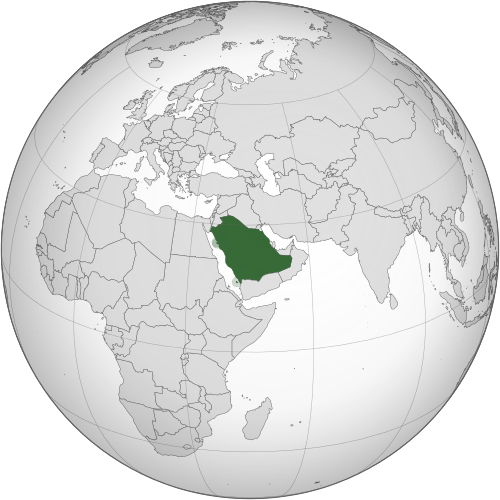 The Kingdom of Saudi Arabia is located on the continent of Asia. It shares land borders with 8 countries: Kuwait, Iraq, Yemen, Qatar, Oman, the United Arab Emirates, and Jordan. Saudi Arabia’s geography is dominated by the Rub’ al Khali desert, the second largest desert in the world with only the Sahara being larger. The Kingdom’s population is over 28,000,000. Saudi Arabia is the 13th largest nation in terms of land area. The United States is about 5 times bigger than the Kingdom. Saudi Arabia is four times the size of France, western Europe’s largest country. Two bodies of water border Saudi Arabia, the Arabian Sea to the East and the Red Sea to the West. 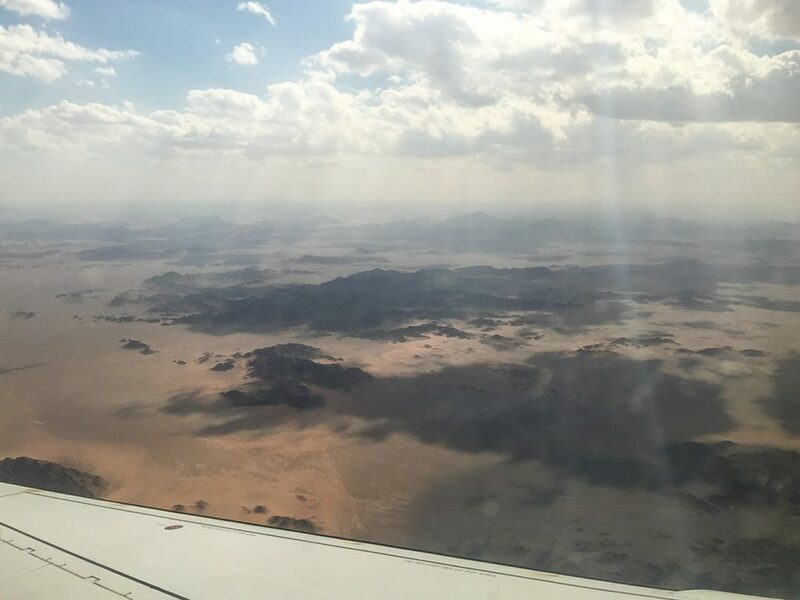 The flight to Al-Ula was one hour and fifteen minutes from Jeddah. Prince Abdul Majeed bin Abdulaziz Airport. Upon arrival, we were greeted by local nature photographers who had an exhibition of their work at the airport. Notice the distinctive ways men can wear their ghutra (headscarf). 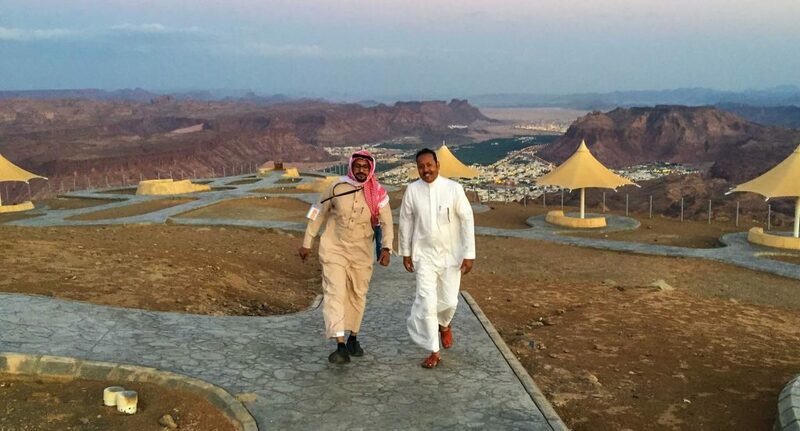 My tour guides, Abdulalkarim Al-Thubiany of Al-Ula and Samir Komosani, who traveled with me from Jeddah. Samir is the general manager of Platin Travel and the Kingdom’s first licensed tour guide. Looking down onto the city of Al-Ula from a vista point. The Kingdom brings to mind images of undulating sand dunes and herds of camels. 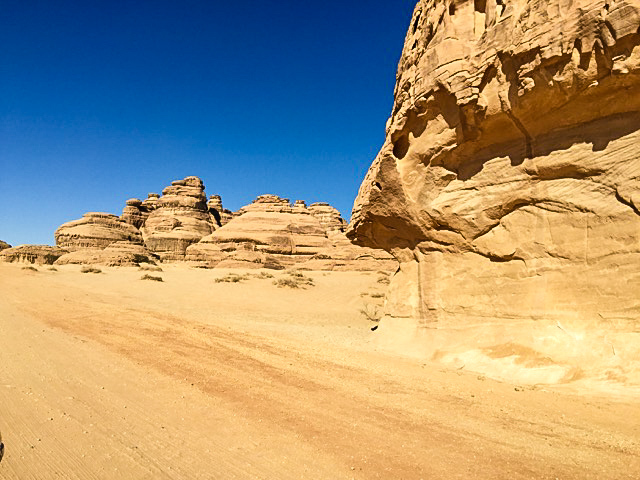 But traveling to the north-west corner of Saudi Arabia, we arrived in a lush date-palm oasis, surrounded by tall cliffs. 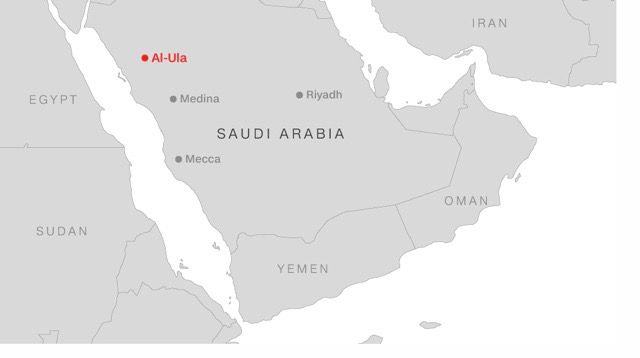 Al-Ula county covers nearly 9,000 square miles. It is about the same size as New Jersey. A long cut in the cliffs, reminiscent of the Grand Canyon in Arizona, provided a passageway for ancient caravan traders. 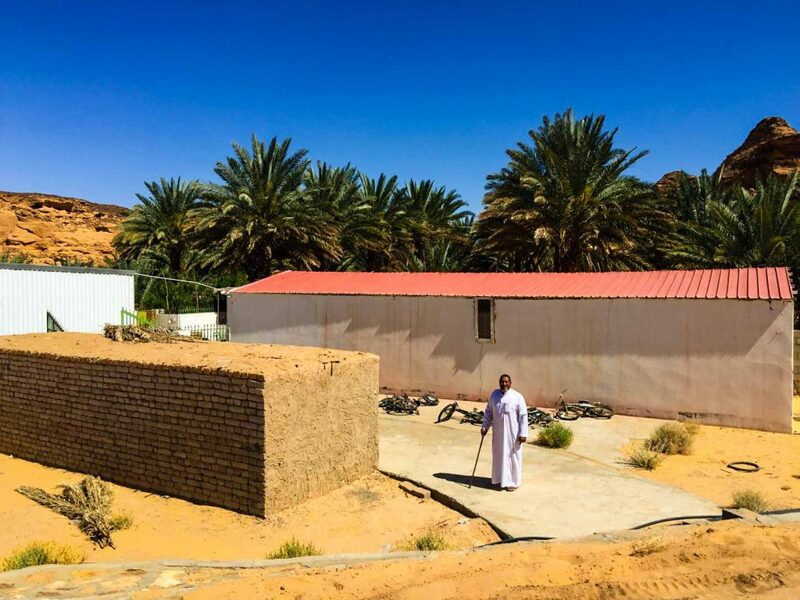 Its palm forest provided them food, shelter, and a place to rest their camels. Today, some of the 150,000 date palms are said to be more than 100 years old. The layered rugs were varied and visually delightful. The camel saddle made for a comfortable evening. On the left, an iconic Arabic coffee pot. Common European words derived from Arabic include coffee, cotton, sofa, mattress, admiral, canal, cannon, jacket, sugar, soda, candy, lime, lemon, rice, spinach, sheriff, traffic, and zero. Our crew in the desert. Abdulkarim brought his cherished falcon. UNESCO declared falconry a living cultural heritage. Falcons can see the movement of their prey from a distance of more than a mile. The resolution of the falcon’s retina is eight times higher than that of man. The purpose of a hood is to calm the bird. These birds are so visually oriented that they are not fearful of what they cannot see. Hoods protect the bird and allow ease of control of situations that otherwise could be startling to the bird. 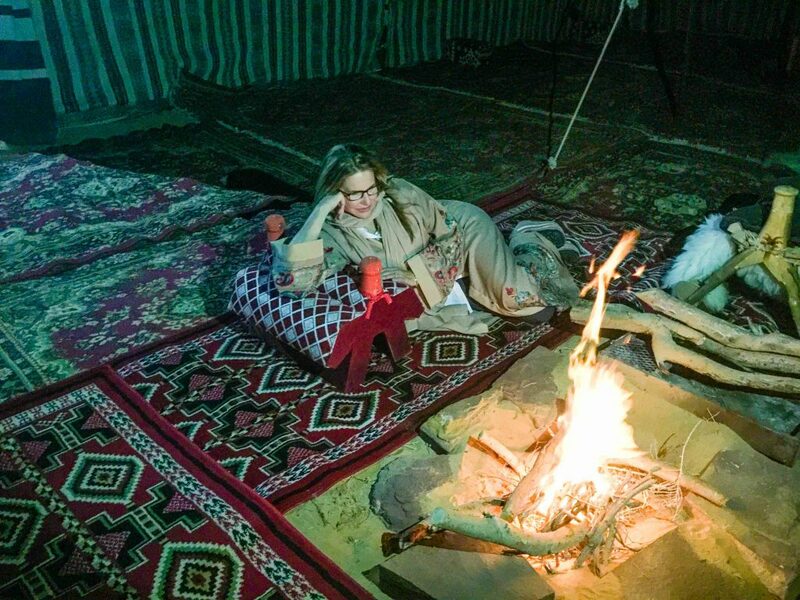 We drove to Sahary Al Ola Camp where we would stay for a couple of nights. 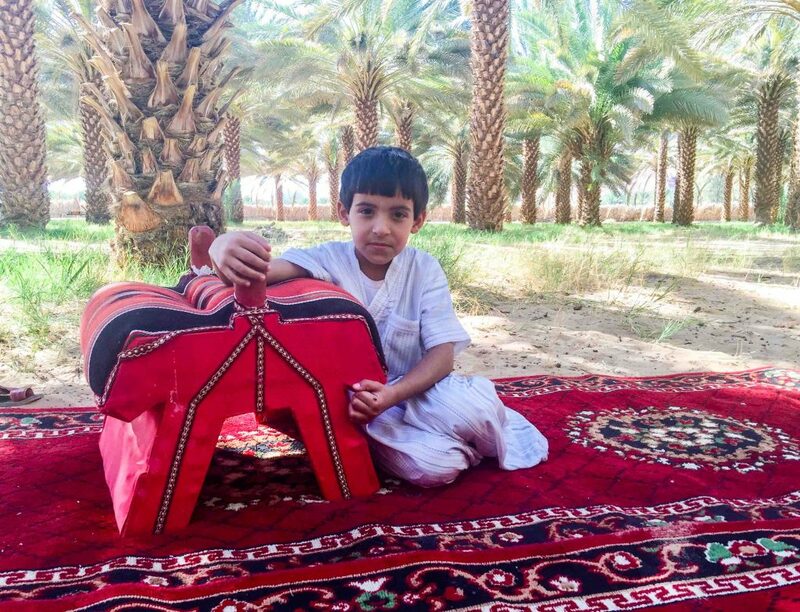 Bedouins have traditionally lived in large black tents called byoot shaar (houses of hair) because they were woven from black goat’s hair. They were ingeniously designed to be adjusted to catch or block desert winds, depending on what was needed at the moment. Our dwellings here were not traditional tents but rather modern portable houses covered with a fabric made to look like the handwoven strips used in the old black tents. My room. 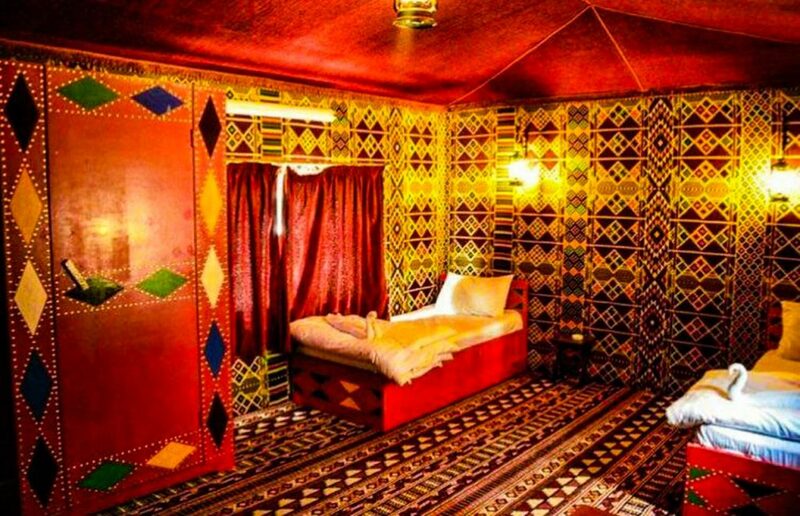 The juxtaposition of the desert landscape and the vibrant interior of my lodging was stunning. 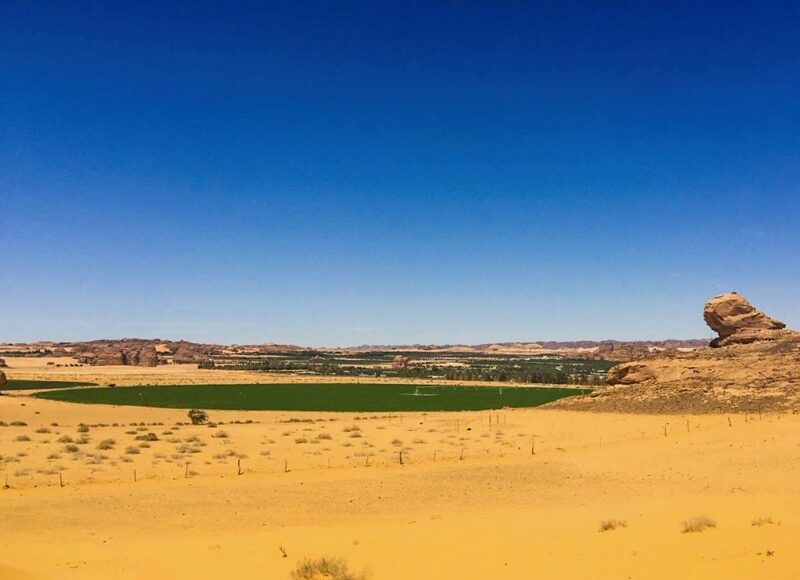 As we exited our desert camp, we passed through miles of irrigated agriculture. There is not a river nor a stream in the Kingdom. The only consistent sources of inland water are oases. Oases are fertile areas of otherwise unfertile land. There are natural springs from which these fields are being irrigated. 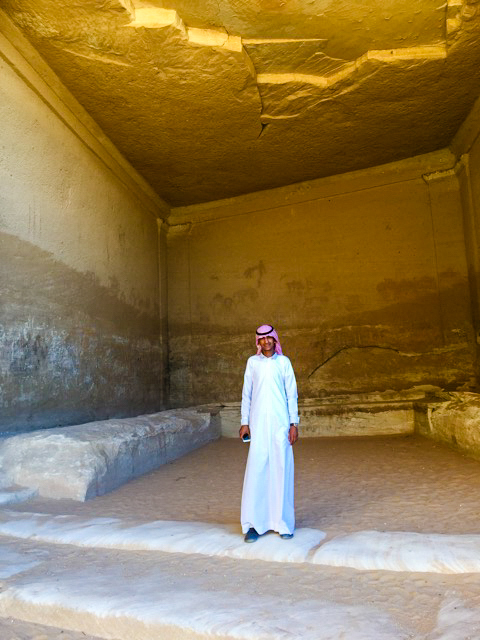 In 2008, the Al-Hijr Archaeological Site (Madain Saleh) became the first Saudi Arabian property to be inscribed on the UNESCO World Heritage List. Little noticed for centuries, serious efforts to explore the site’s archaeological significance only began in the past couple decades. 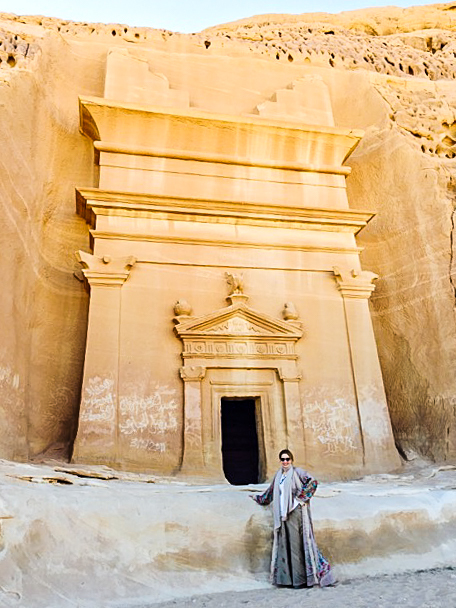 As Saudi Arabia changes and attempts to transform its economy, Madain Saleh has been increasingly noted for its historical significance as well as its tourism potential. 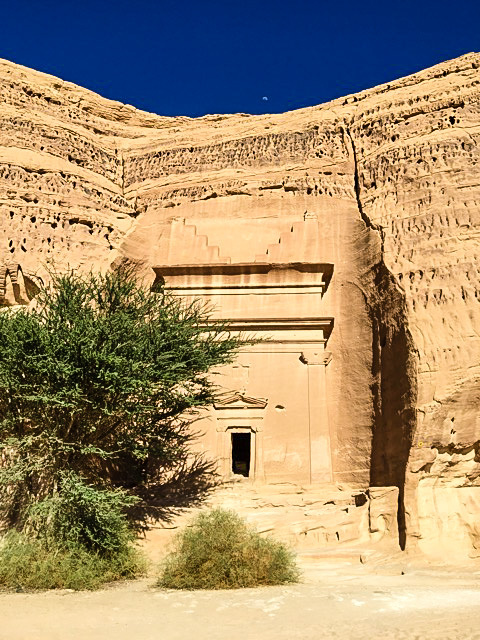 Madain Saleh was built by the Nabataeans, the same civilization that created the much better-known settlement of Petra in Jordan. It is the largest open museum in the world. 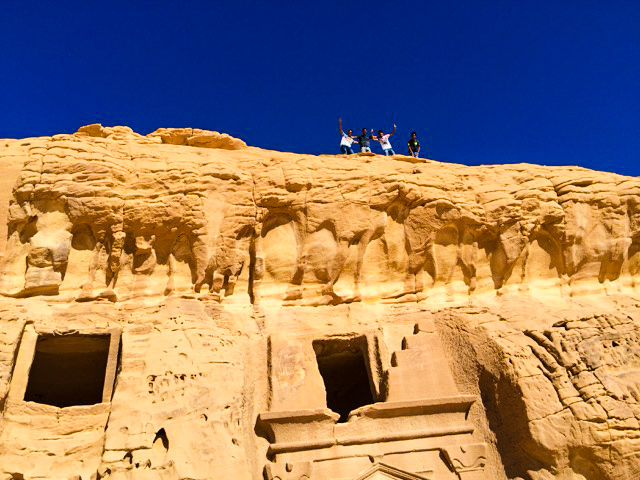 In an arid landscape of large rock formations and cliffs, hundreds of tombs are carved into the rock faces, creating beautiful architectural vistas as far as the eye can see. 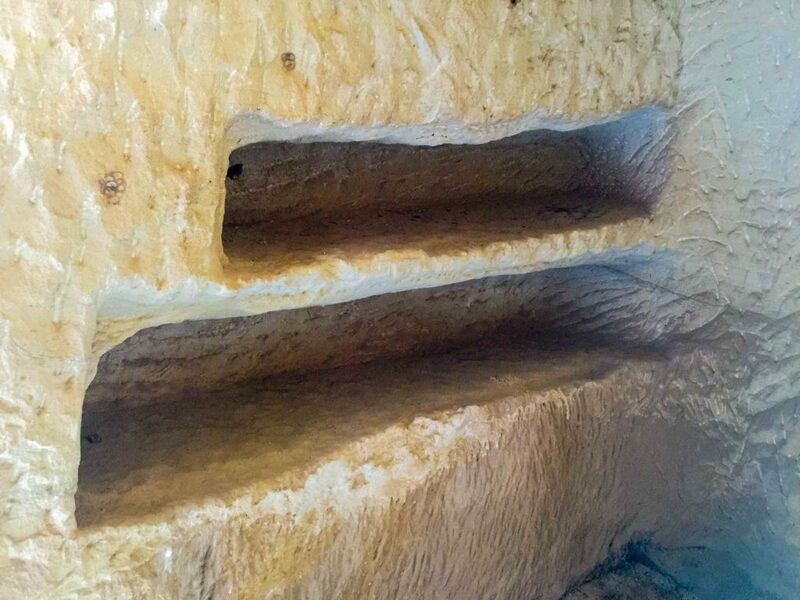 The tombs are over 2,000 years old. The most iconic symbol of Madain Saleh is Qasr al-Farid, a single tomb carved into a small dome that stands alone in the open. Madain Saleh is Saudi Arabia’s pre-eminent pre-Islamic archaeological site dating to the Nabataean kingdom in the first century. It was the southernmost settlement of the Nabataean people, whose capital was in Petra, Jordan. 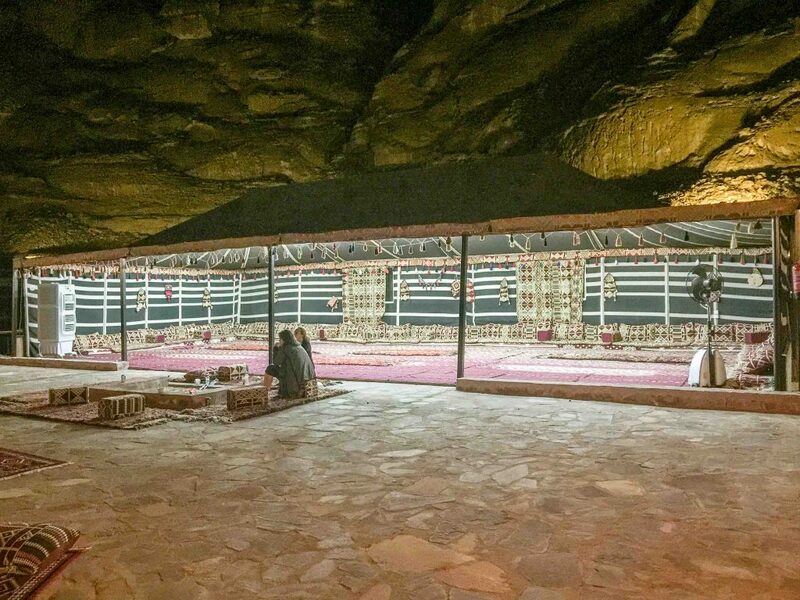 Muslims did not come here because they believed the site was cursed when the Nabataean’s refused to renounce their gods in favor of Islam. 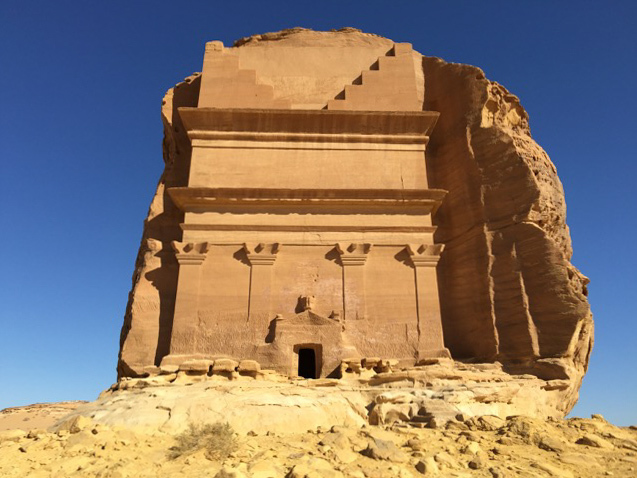 It’s the very absence of foot traffic, as well as Saudi Arabia’s dry desert climate, that has kept Madain Saleh so well intact. 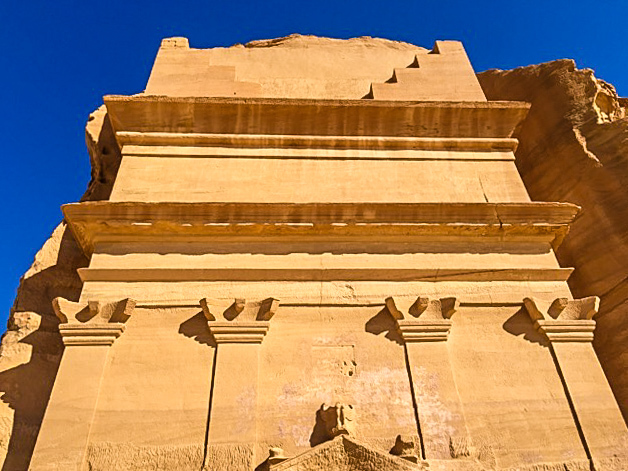 While Petra’s facades are slowly disintegrating, these tombs are stunningly well preserved. Qasr Al-Farid is unique because it was not completed and not used as a tomb as there are no traces of burial sites inside it. Qasr al-Farid is four stories high with four columns. Most only have two. As such monuments were meant to be an indication of the wealth and the social status of the people who commissioned them, bigger definitely meant better. 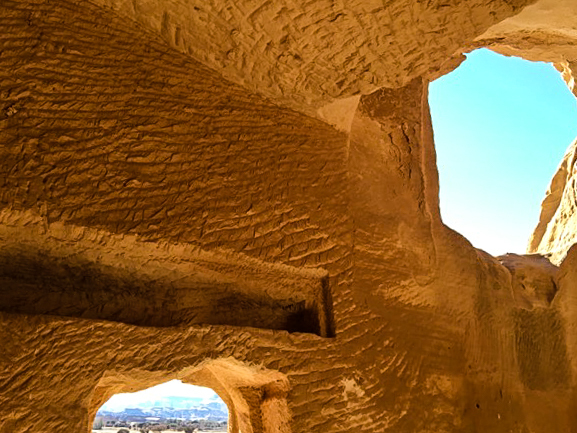 There are 131 Nabataean tombs cut into massive rocks spread over more than 8 miles. Samir walking around the lavish tombs. Nabataeans controlled trade routes to Rome. They were Arab nomads. They were a tough lot. Their primary defense was melting into the desert, and waiting for their enemies to die of thirst and starvation. Imagine traders and camels approaching Madain Saleh, bringing baskets full of frankincense from Yemen and Oman. These resinous nuggets, extracted from the Boswellia sacra tree, are as valuable as they are rare. They would have been destined for the wealthiest Romans, Greeks, Egyptians, and Israelites. Joyful young men climbed to the top of the rock. Token trees and bushes break through the sand to find life that create a most welcome bit of shade. 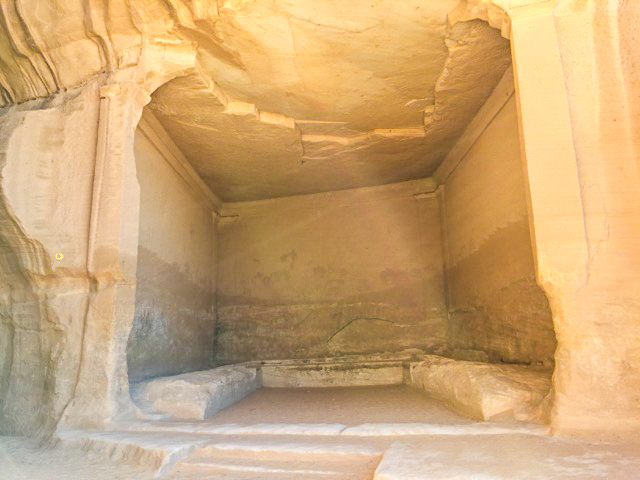 This square chamber containing three stone benches served as a triclinium for sacred feasts. Today, the chamber is known as al-Diwan. This young unarmed policeman standing in al-Diwan is wearing the traditional white robe called a thobe. The headscarf is called a ghutra, which is kept on his head with a black piece of cord called an igal. 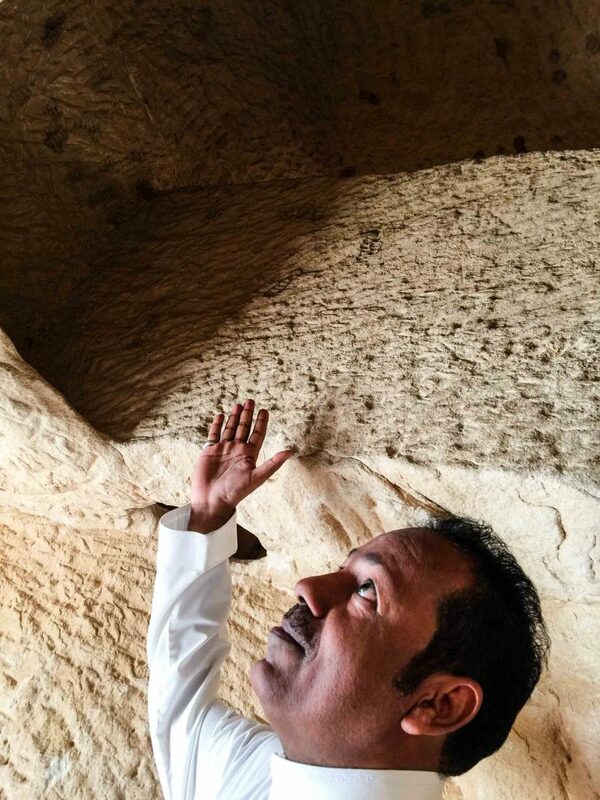 Samir gazing at the workmanship of a tomb. Where bodies were laid. Individuals were buried without clothes or shoes, with only a collar of fresh dates around their neck. Their bodies were wrapped in three layers of fabric impregnated with resin, the closest to the body being tinted in red. Families in the shade of a lone tree. 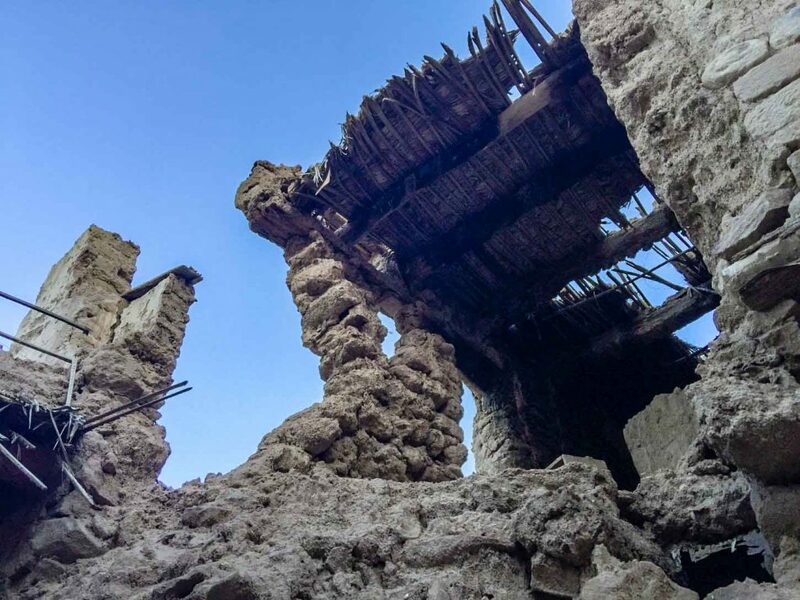 Madain Saleh entered a period of decline after it fell to the Romans in 104 AD. The trade routes melted away to a new, maritime route through the Red Sea. 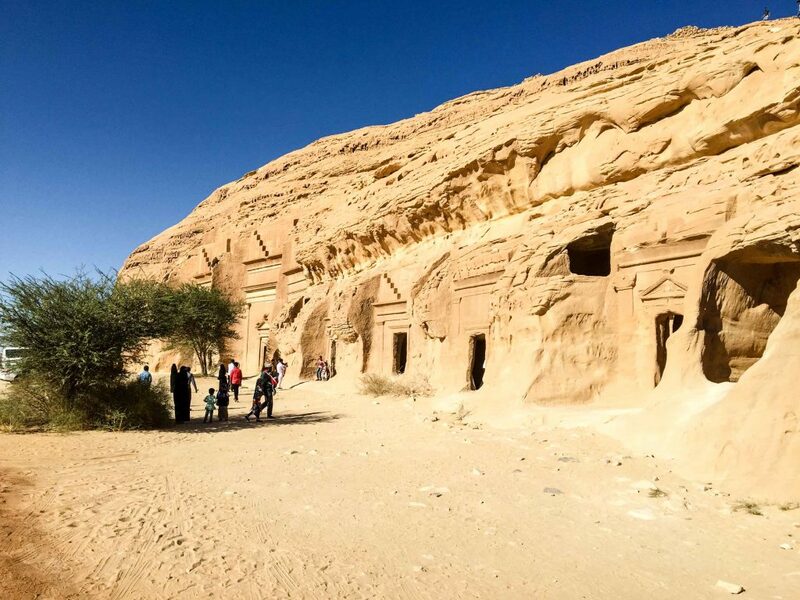 The defeated Nabataeans moved away completely, leaving their enigmatic carvings, chambers, and tunnels as the only signs they were ever there. 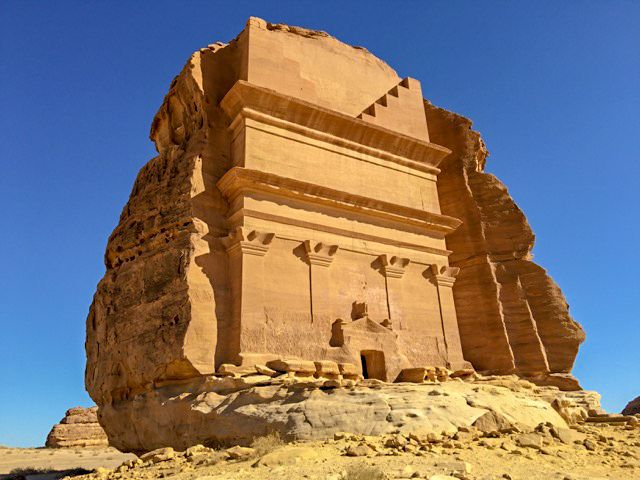 Madain Saleh entered a period of decline after it fell to the Romans in 104 CE. Overland trade routes melted away to newer, maritime routes through the Red Sea. 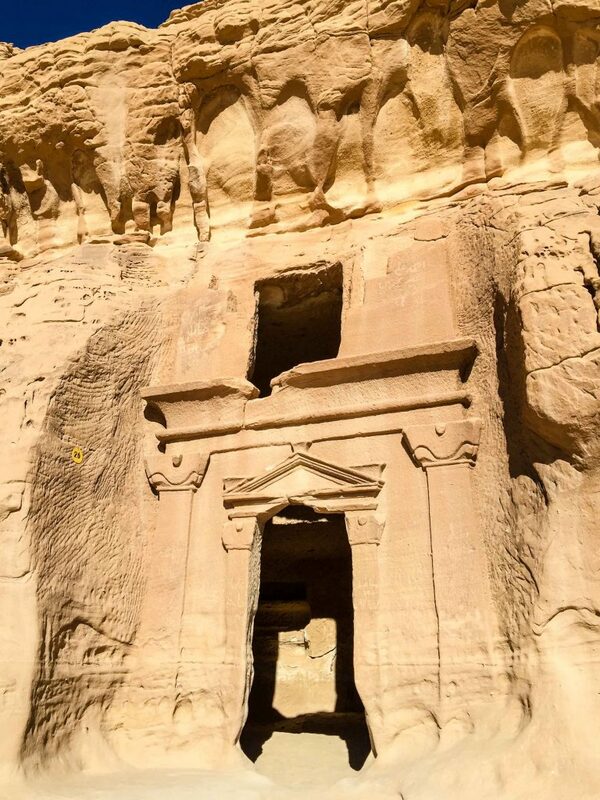 The defeated Nabataeans moved away completely, leaving their enigmatic carvings, chambers, and tunnels as the only signs they were ever there. 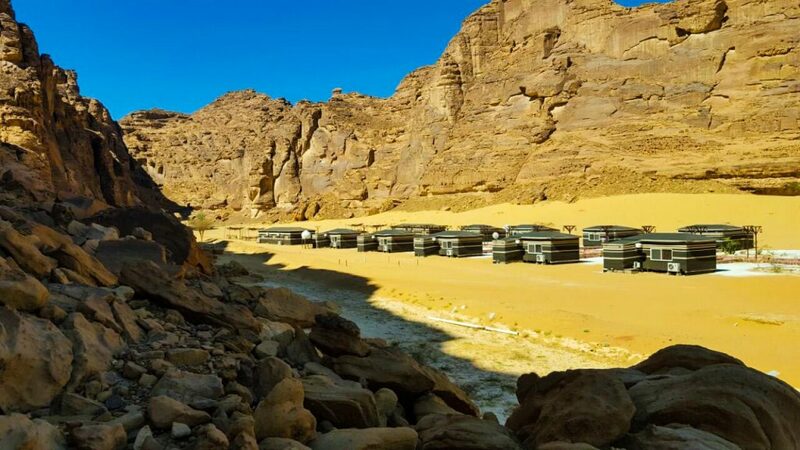 In the middle of the Jeberl Ithlib is a natural slit that measures 131 feet called the Siq, a dim narrow gorge, after a similar corridor in Petra. 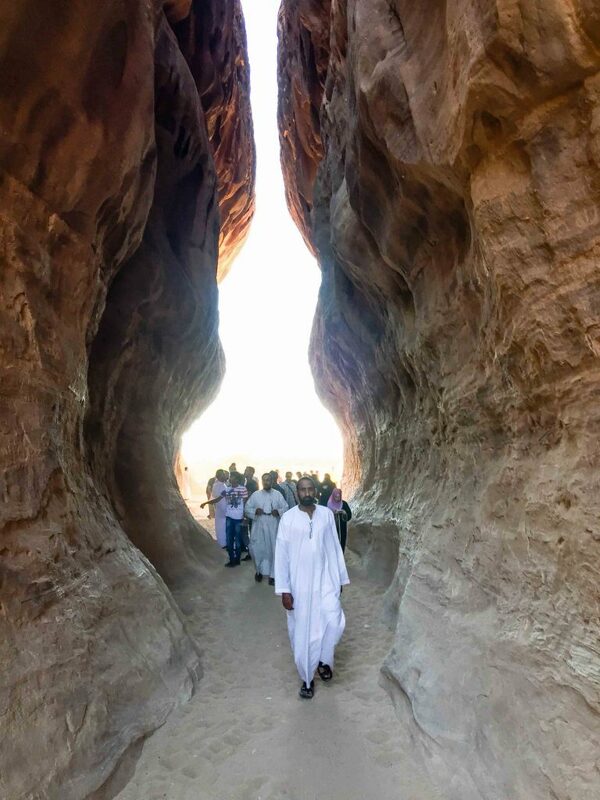 In the middle of the Jebel Ithlib is a natural slit that measures 131 feet called the Siq, a dim narrow gorge, after a similar corridor in Petra. On a geological time-scale, the Arabian Peninsula is young, having broken away from the main African continent about five or six million years ago creating the Red Sea that divides Saudi Arabia from the African continent. It is no surprise, therefore, that this desert has much in common with the Sahara desert. Its sands have the same orange coloration due to the presence of iron oxides. 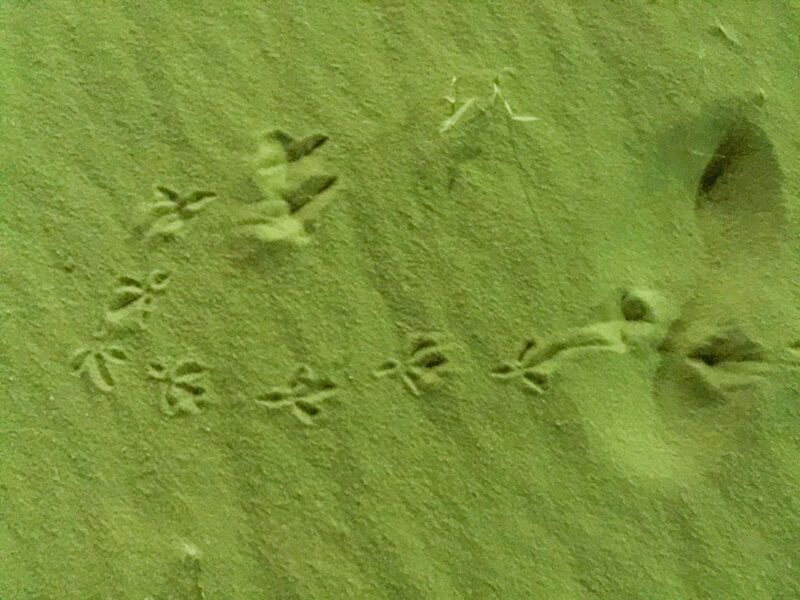 Bird tracks in the desert sand. 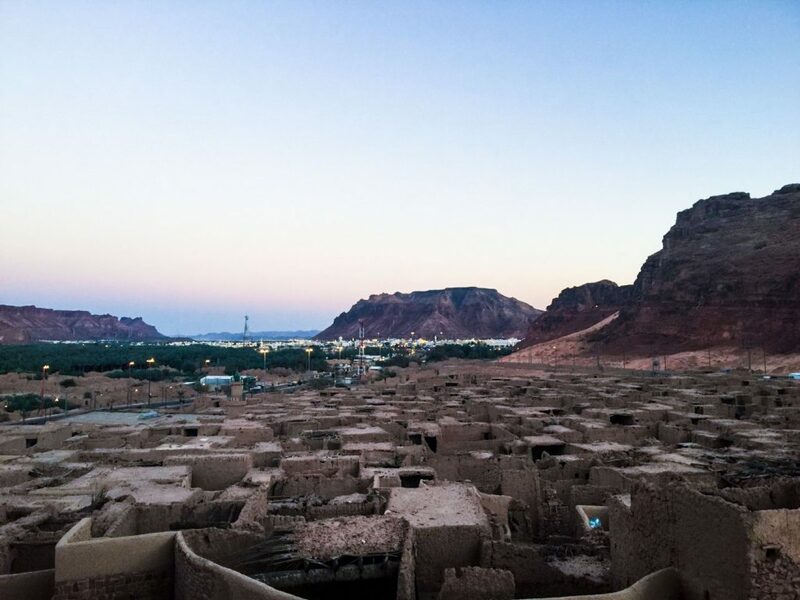 The walled city of Al-Ula was founded in the 6th century BCE near an oasis in the desert valley with fertile soil and plenty of water. 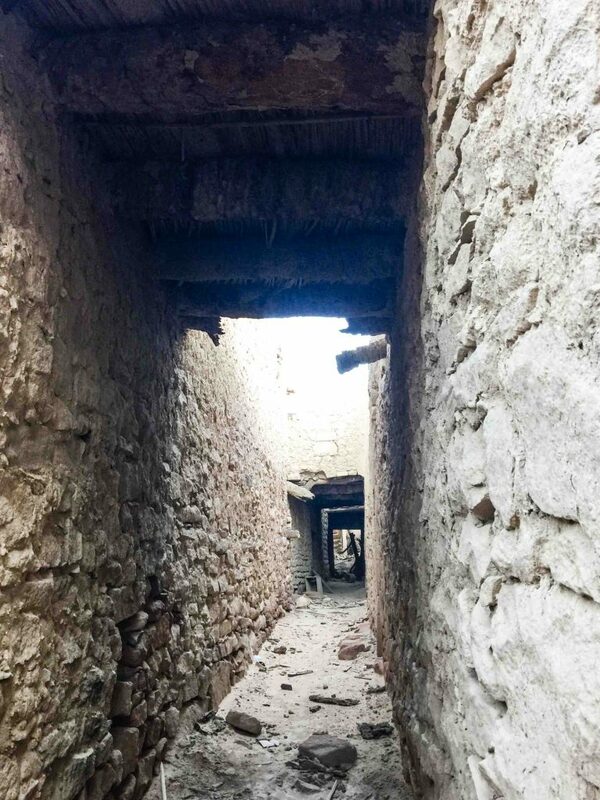 It was located along “Incense Road,” the network of routes that facilitated the trading of spices, silk and other luxury items through Arabia, Egypt, and India. The town was reconstructed in the 13th century. When the cramped space and poor infrastructure didn’t meet 20th century standards, it was abandoned by residents for a new town nearby. The last family left in 1983, making it a ghost town. Houses in the old town were built around a hill away from valleys and floods. 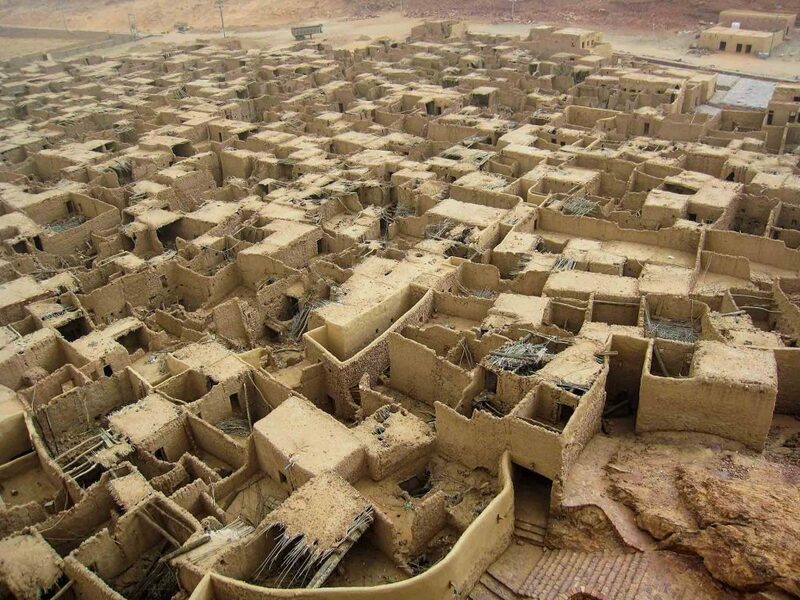 The lower floors of the houses were built out of stones carried from the ancient site of Al-Khuraybah, while the upper floors were built out of mud brick. The town was laid out to facilitate defense; houses were built adjacent to one another thereby forming a wall around the city. 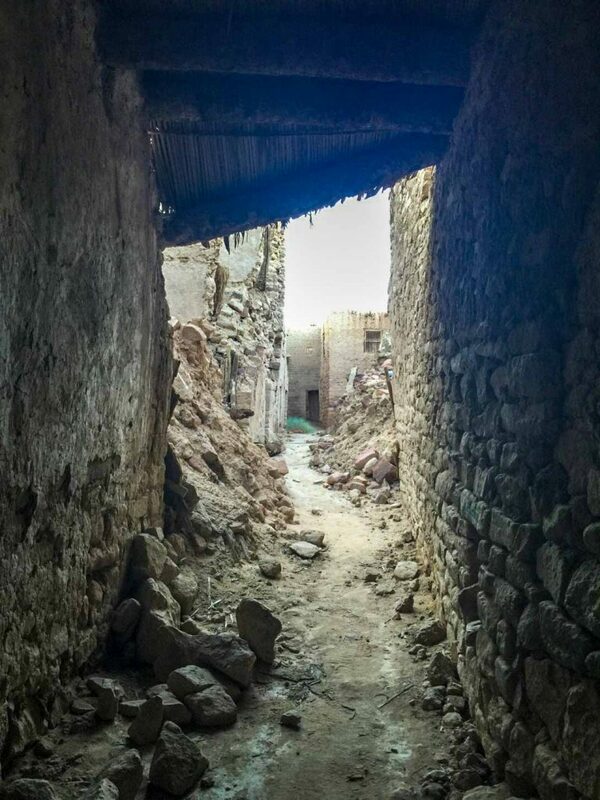 There were 1032 houses in the town separated by narrow lanes. The town’s 14 gates were opened in the morning and closed in the evening; the local name of these gates was Aswar. Houses contained two floors. The first floor was used for gatherings, receptions, and storage. The second for living space. 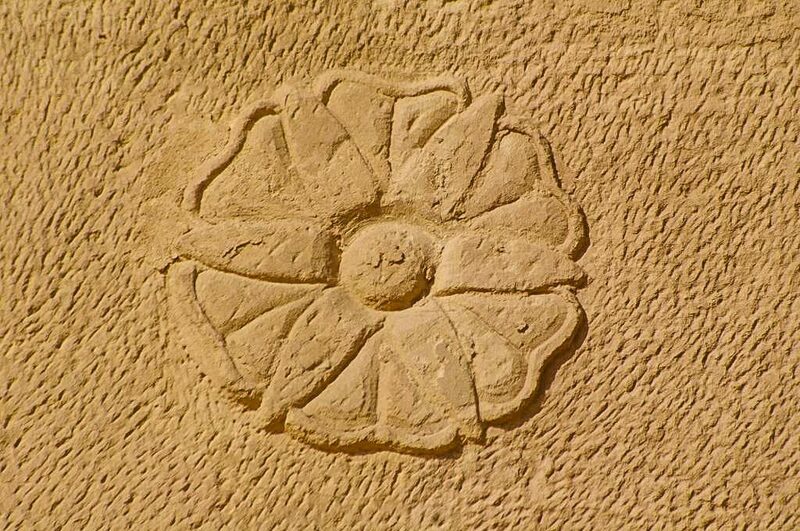 In 628 CE, the town of Al-Ula was described as a town that lies in the middle of the valley among numerous date palms. The report said it was a small town with a fort on top of a mountain. It was said to have springs of water which were used for irrigation. 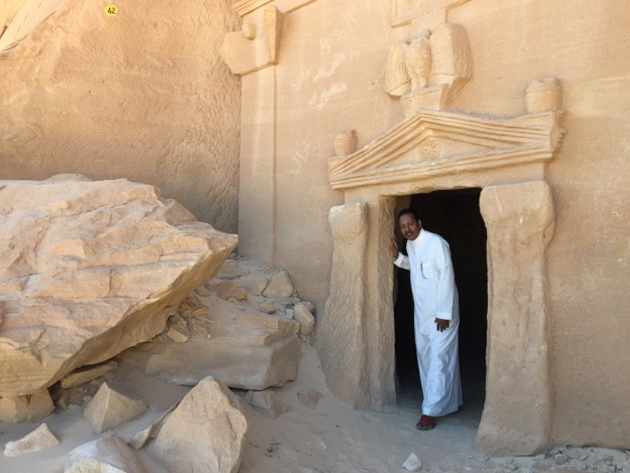 Shop keepers in Al-Ula opened their shop for me. They gave me this wonderful souvenir from Madain Saleh. The women themselves participated in the carving of this replica. I asked them if they were married. “Not yet.” Most of the women in Al-Ula prefer to be completely covered. Some of them even wear black gloves. The women were so warm and welcoming. The women were very affectionate with one another, as were the men with one another. I was welcomed by both men and women with open hearts and legendary hospitality. 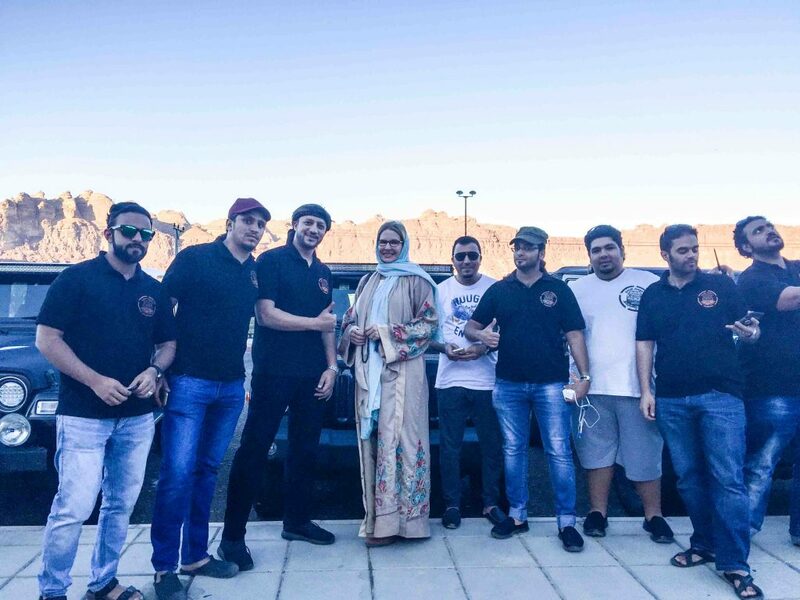 Outside of the shop we ran into “Saudi Jeepers” from Jeddah just arriving for a weekend of sand dune driving. They asked us to come along with them for a late afternoon adventure. 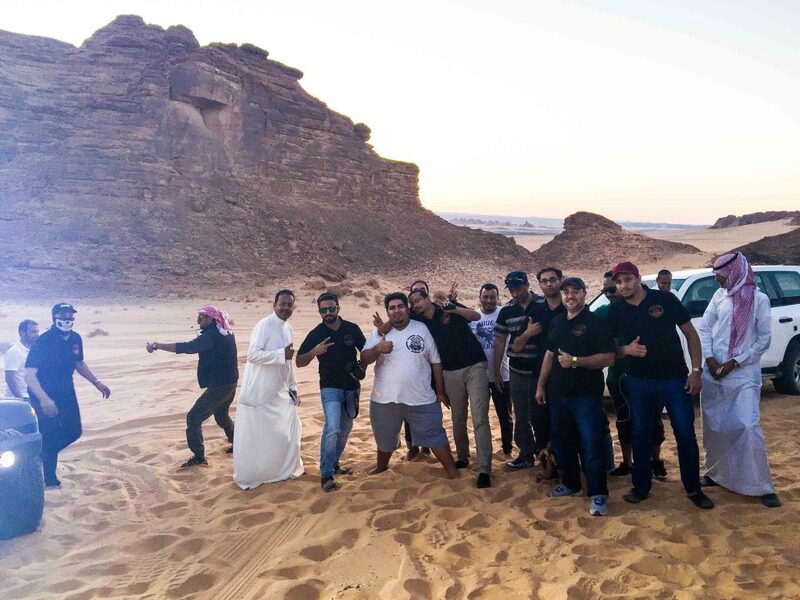 We followed the Saudi Jeepers caravan to their favorite sand dune. 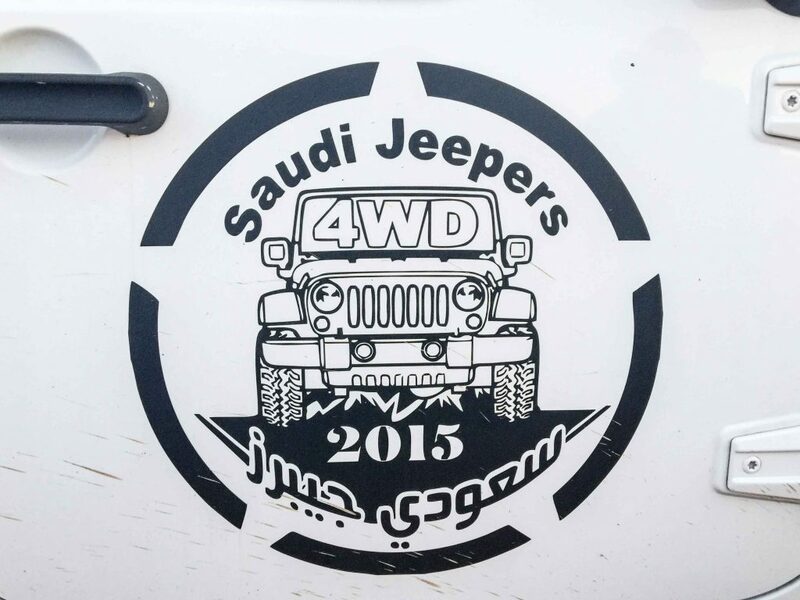 This gentleman was the Saudi Jeepers Team Leader. He asked me if I wanted to go with him in his Jeep to ascend/descend the dune. Of course, I was thrilled to do so! I asked him if I could remove my hijab/scarf. He immediately said “Please be comfortable!” The men were friendly, modern, fun loving, and were totally respectful. Buckled in and ready to go! Clearly these men were great friends. 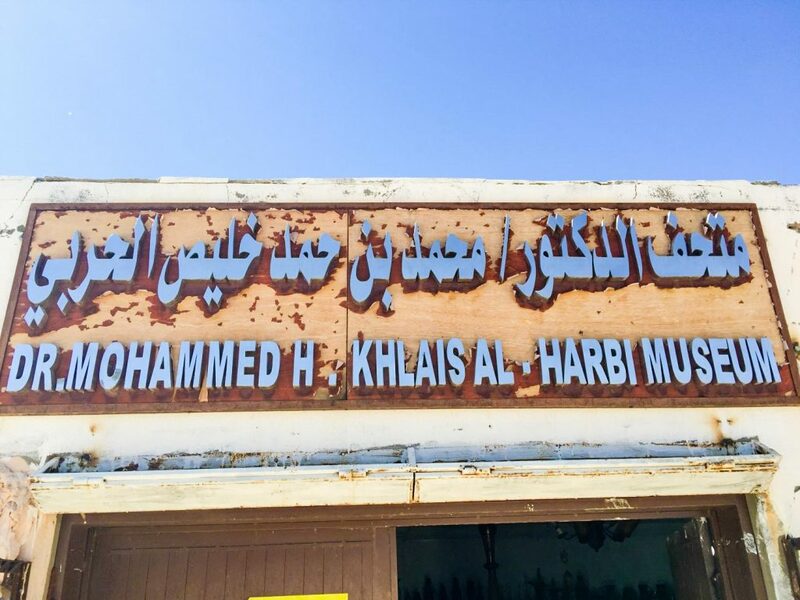 Dr. Mohammed H. Khlais Al-Harbi. Camels’ nostrils close to keep sand at bay, and they have bushy eyebrows and two rows of long eyelashes to protect their eyes. Large, tough lips enable them to pick at dry and thorny desert vegetation. Big, thick footpads help them navigate the rough rocky terrain and shifting desert sands. Camels are over seven feet tall at the hump. The hump stores up to 80 pounds of fat, which a camel can break down into water and energy when sustenance is not available. 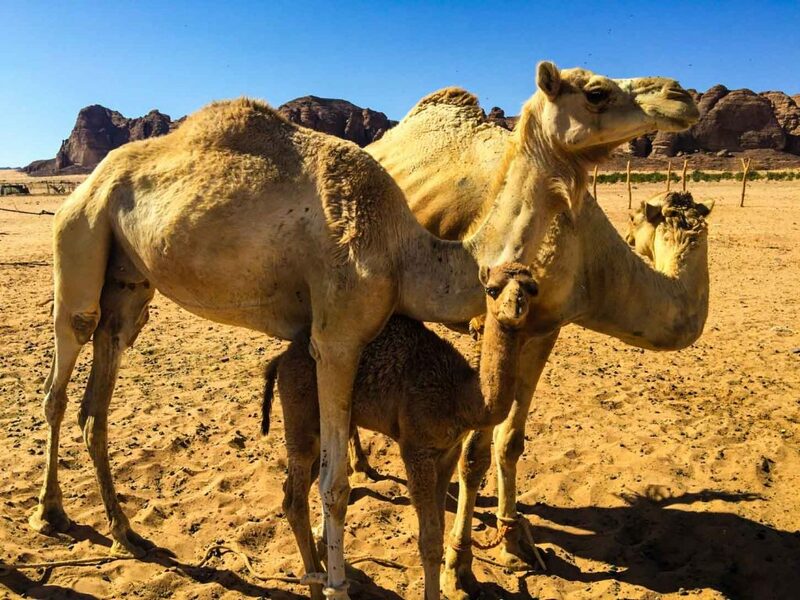 These humps give camels their legendary ability to travel up to 100 miles without water. The average life expectancy of a camel is 40 to 50 years. When this calf felt shy, he would back up underneath his mother’s front legs while his father stood by his family. Camels are very social and like to greet each other by blowing in each other’s faces. Camels can run 40 miles per hour. When they are provoked, they spit greenish substance from their stomach. Also, they can use all four legs to kick their opponent in self defense. 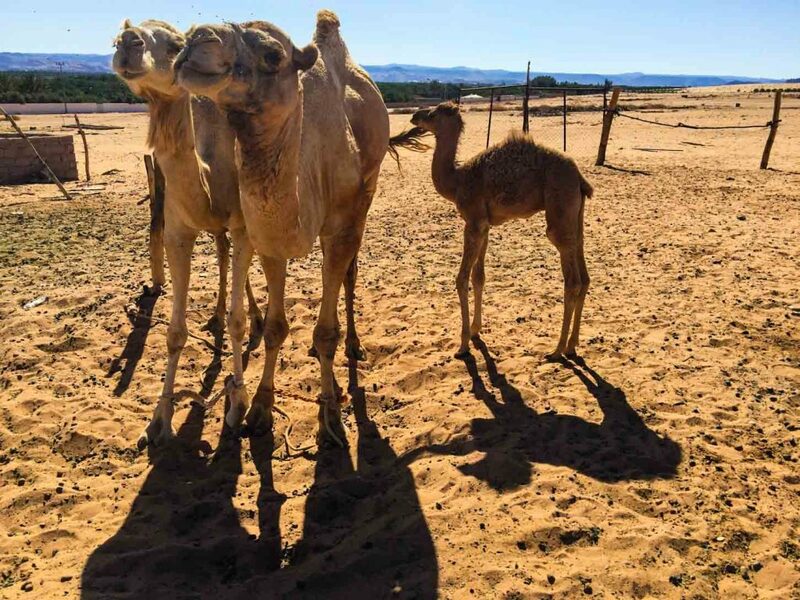 Camels rarely sweat, even in desert temperatures that reach 120°F, so when they do take in fluids they can conserve them for long periods of time. When camels refill, however, they soak up water like a sponge. A very thirsty animal can drink 40 gallons of water in less than 20 minutes. A picnic was organized in the orchard filled with the scent of lemon, sweet orange, tangerine, and date palms. Dates are one of the major fruits found in Saudi Arabia. They have medicinal and nutritional value. 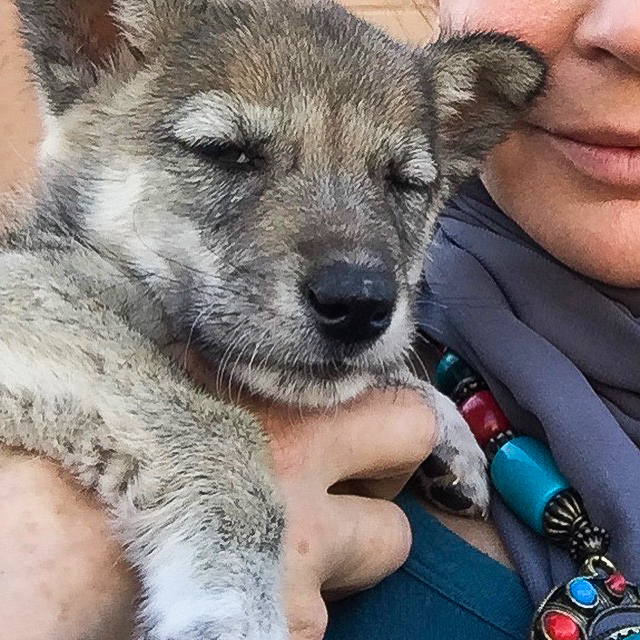 In a gesture of hospitality, the owner of the date farm gifted this wolf pup to me. I was told they found him on the side of the road next to his mother who had been hit by a car. This wolf pup did get a bit exasperated by my affection. I wanted to take him home with me but I understood it would have been difficult getting him through Customs. I mean, really, look at that face! 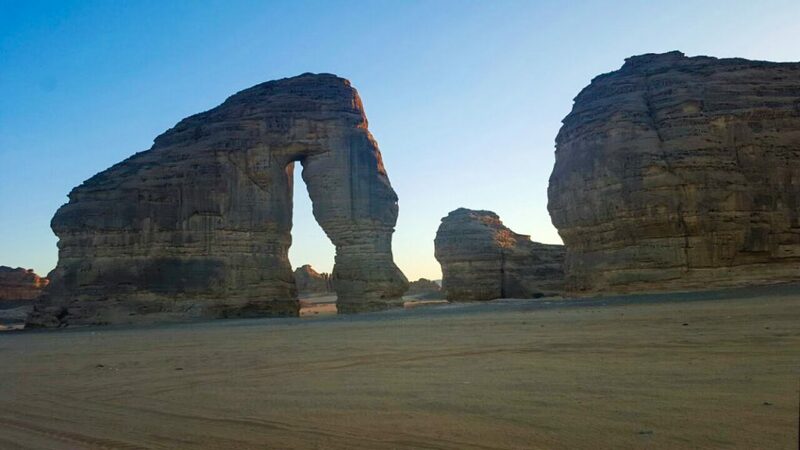 Near Al Ula, Elephant Rock is a distinctive and massive formation shaped by erosion over thousands of years. Greenery even appears after the winter and spring rains. The photographers who greeted us at the airport when we arrived came back to wish us farewell upon our departure. Such noble, authentic men. Environmentalists. Proud of their work, which hung behind us. Proud of their town. As you can see, I was not wearing my head scarf here either. Saudi Arabia is everything you have heard it to be and nothing like you have heard it to be. 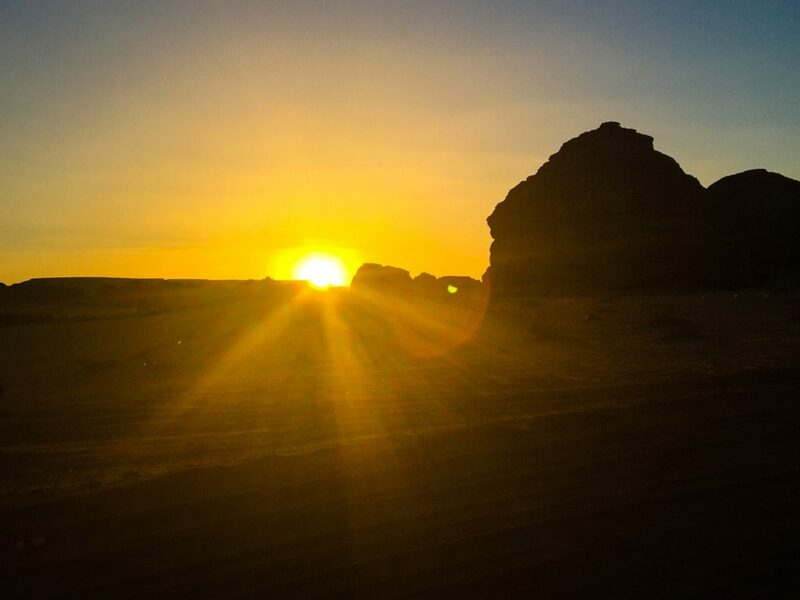 This entry was posted in Paige Peterson, Saudi Arabia. Paige Peterson has worked at the Huntsman Cancer Foundation since 2006 as Executive Vice President, focusing primarily on a cause close to her heart—cancer research. Huntsman Cancer Institute, founded by the late Jon M. Huntsman, Sr., is a leader in the study of cancer genetics. Its researchers have discovered more inherited cancer genes than any other cancer center. Its goal is to eradicate cancer worldwide. 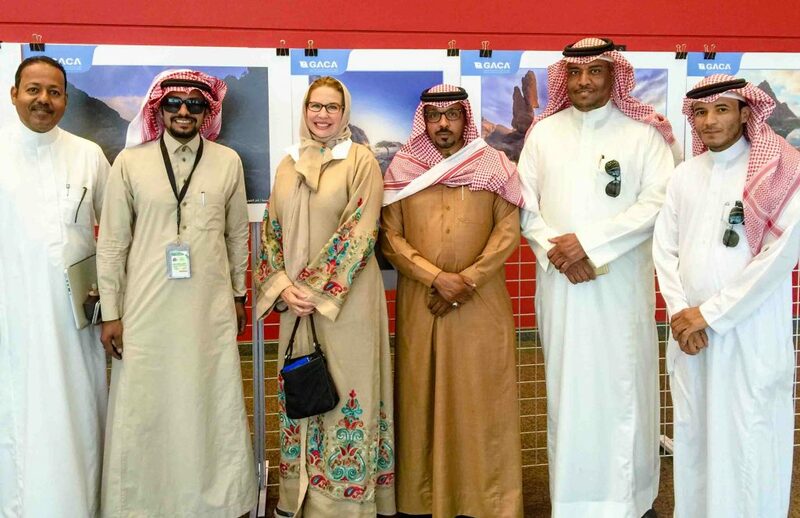 Ms. Peterson facilitated the partnership of Huntsman Cancer Institute and King Faisal Specialist Hospital and Research Center in Riyadh, Saudi Arabia. They are now collaborating on cancer research. 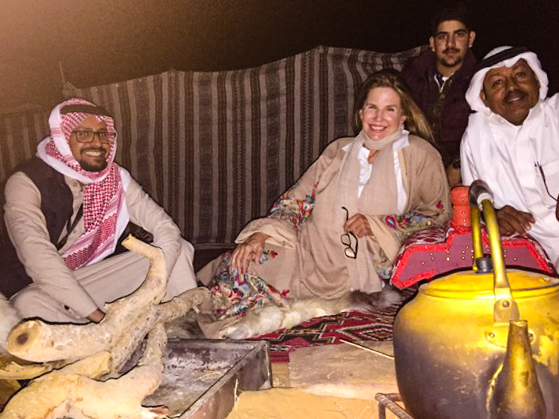 As a member of the Board of Directors of the National Council on U.S.-Arab Relations, Ms. Peterson shares the Council’s commitment to improving American knowledge and understanding of the Arab world. As a board member, she participates in the C3 Saudi-American Healthcare Forum, created to advance healthcare diplomacy. She has written extensively about the Middle East. Her work has appeared in American and Arab media. Before joining Huntsman, Ms. Peterson worked closely with Christopher Cerf, an award-winning author and television producer. She was a researcher and editor on several of Cerf’s books, including “The Experts Speak” and “Mission Accomplished.” The two were co-directors of a Welcome Books’ imprint, Cerf & Peterson, and co-authored a bestselling book, “Blackie, The Horse Who Stood Still,” which Ms. Peterson also illustrated. She also illustrated Jesse Kornbluth’s adaptation of “A Christmas Carol,” by Charles Dickens. Born in Marin County, California, Ms. Peterson is also a painter who is represented by Gerald Peters Gallery in New York City. The prestigious Guild Hall Academy of the Arts in East Hampton has honored her with a lifetime membership. Ms. Peterson lives in New York City.